We are a leading specialist in the design, fabrication and installation of high performance architectural aluminium systems. 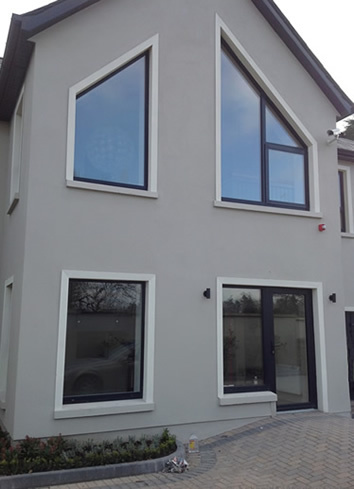 At Lakeside Windows we have researched widely into premium suppliers which allow us to provide our customers with the best possible end products for each project. We have access to a number of systems such as A.M.S and A.P.A which can cover ever need and demand in the marketplace. We provide project by project advice on design, building regulations, U-values etc. This ensures that all projects run smoothly from concept-fabrication to installation. 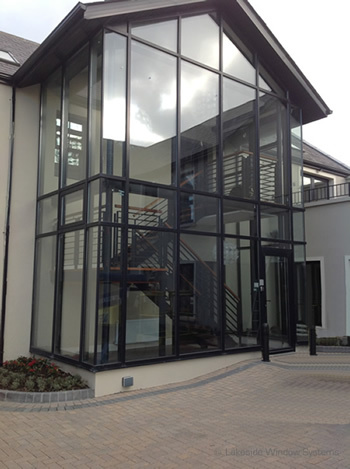 Our Window system is an eco friendly, sustainable and fully energy rated aluminium window system. It has undergoing some very rigorous testing and now also meets all the requirements of secure by design. Achievable energy ratings range from a 'C' rating with double glazed units to an 'A' rating with triple glazed units and U-values as low as 1.0 W/m2K. Sash options include: Top hung, side hung, parallel opening, horizontal pivot, vertical pivot, tilt and turn. The system is available in all standard Ral colours. Our Rebate Door System is a technically superior door system which offers excellent thermal performance and is available with multiple threshold options. The system is 66mm in depth and combines polyurethane resin with a-multi chamber isolator core which assist in meeting the thermal requirements of the current building regulations. Our Patio Sliding Door System offers excellent thermal performance and is a highly versatile system which offers multi light applications. 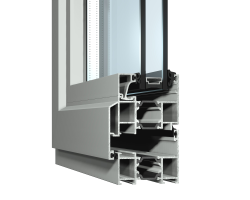 The system a can incorporate sliding door, rebate door and opening sash sections all within the one frame. The system combines polyurethane resin with a-multi chamber isolator core which assist in meeting the thermal requirements of the current building regulations. The system is internally beaded for extra security. The system can be glazed with 24m & 28mm units and can be fabricated to sizes 6.5m wide x 2.6m high offering excellent flexibility in design. The Sliding door is perfect for both domestic and commercial applications and offers a modern and stylish design option. The system is available in all standard Ral colours.